Following on from our successful first gluten free baking book, we're absolutely delighted to announce that we have published our second recipe book. Featured in the Independent's Indy Best 10 best gluten free cook books. This super helpful and innovative new book aims to make "free from" cooking welcoming, inclusive and as stress free as possible. All the tasty recipes are gluten free and vegetarian. There is a selection of dairy free, nut free and vegan recipes too. 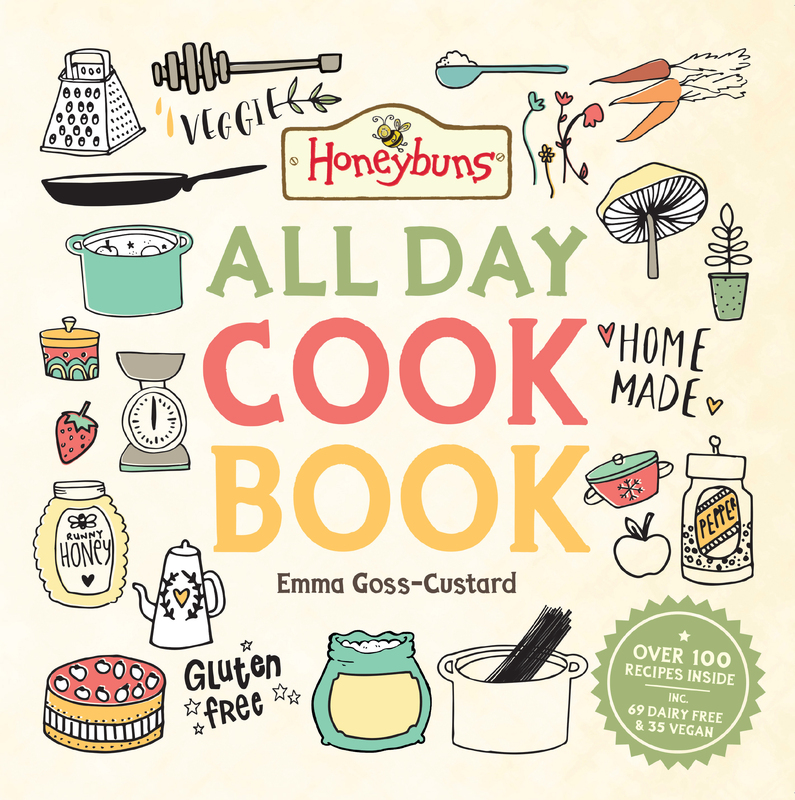 With over 100 sweet and savoury recipes for all day cooking, from breakfast to supper, there are very simple recipes to those that are more adventurous. You'll find easy to make breads, pizzas and savoury crackers. For the sweet toothed there are indulgent puddings from an Appleberry Charlotte to a Chocolate, Prune and Avocado Tart. The recipes are inclusive to as many people as possible whilst tasting deliciously decadent, and include handy hints on how to convert them to nut free or dairy free. Also included are ingredient stockists and an informative store cupboard section featuring advice on different gluten free flours, sweeteners and oils. This beautifully designed hard cover book is accompanied with gorgeous photography and illustrations. For help and other information, please see our Book FAQ. If you'd like to stock either this or our first cook book please contact us for more information. "Some very interesting recipes and I really like the idea of flour swaps," P.G. "My neighbour bought me a copy of this book as a present and I love it! Well done Honeybuns for producing some brilliant recipes!," H.C.